Explore Nagano! Here are some great places to start. 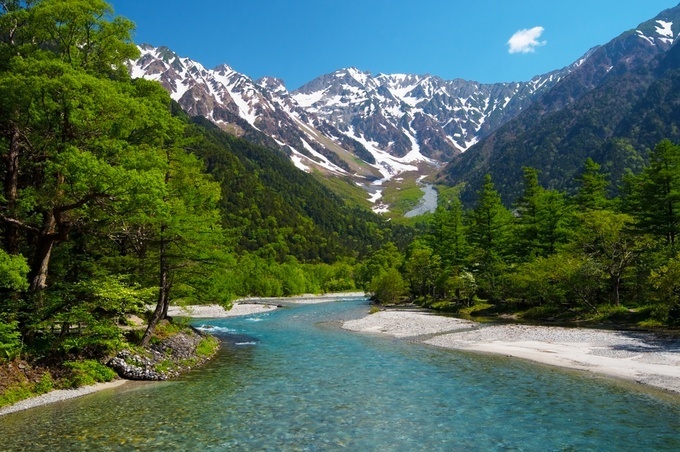 Nagano is full of nature, and is visited by a large number of tourists throughout the year. 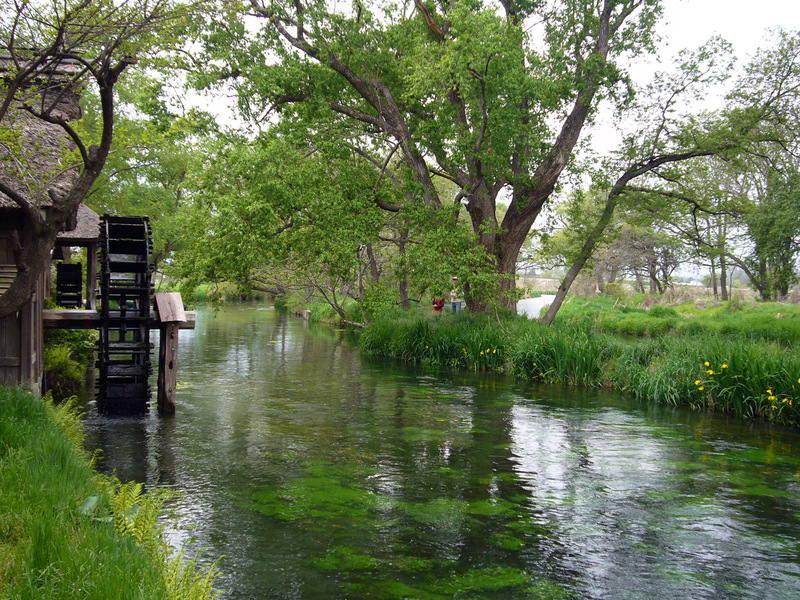 It’s easily accessible from Tokyo – nature and various hot springs are right at your doorstep! Nagano prefecture is very, very large. Here we’ve broken down tourist attractions by region. Enjoy! 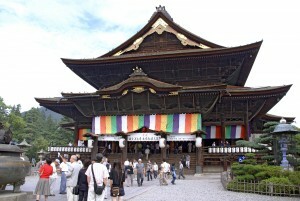 Zenko-ji is a representative place of Nagano! It is famous even that the faith from men of power such as Yoritomo Minamoto, Shingen Takeda, Ieyasu Tokugawa is warm. You are lucky while walking the pitch-black corridor under the main hall of a Buddhist temple floor if you can touch the lock by a feel! Let’s experience the event that the chief priest pats the head of the worshiper with beads by all means every morning. The rare place where a wild monkey soaks in the hot spring. Let’s go in warm clothes to walk from the parking lot for approximately 20 minutes! Specifically, please read this article! The hot-spring resort where there are several historical inns. 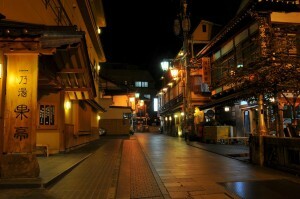 It is tasteful to stroll in the hot-spring resort in a yukata, and popularity is high. The chestnut of the Obuse district is famous in the whole country. There are many people surprised at a considerably big chestnut. There is value just to eat Mont Blanc in a famous shop. The rare place that can get into the backside of the waterfall. Let’s enjoy a big sound and flow while taking spray! There are a ranch and the outdoor bath near by, too. When it is winter, a skiing area becomes full of tourists. In addition, I can enjoy splendid scenery of the Nature other than the winter. In Matsumoto-jo Castle which is a national treasure, spring is recommended. 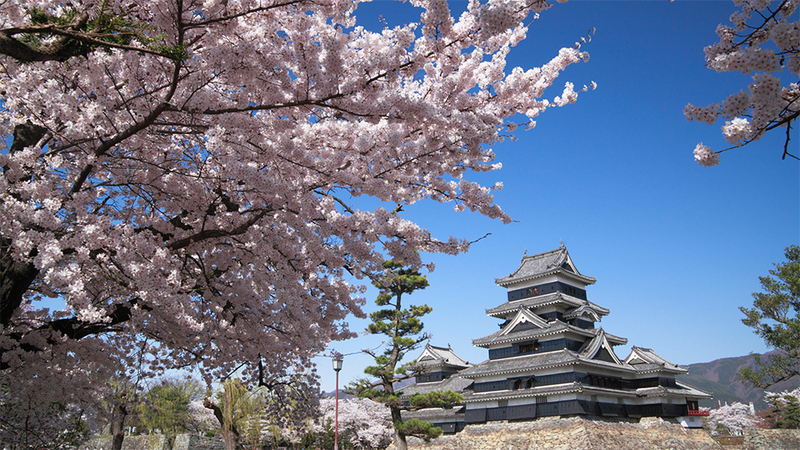 The Northern Alps are seen in cherry blossoms in full bloom and a castle and the distant place. Let’s take a ceremonial photograph against a backdrop of splendid scenery! I can enter the castle with 600 yen for adults. I will check the nearby noodle shop! Amount of production of the wasabi is the whole country, and Nagano is TOP. Let’s experience Japanese taste “Wasabi” here! Let’s have various experiences while looking at the splendid superb view! A plateau of 2,034m above sea level that is most suitable for a drive. It is one of 100 famous mountains in Japan. Let alone plateau walk, there are a ranch and an art museum, the plural big art objects, too. The scenery that performed time travel in the Edo era. An important traditional buildings preservation district. The lacquerware of Kiso is famous in the whole country. It is most suitable for the souvenir including the chopsticks of the Kiso hinoki! A rock big on the river of the emerald green! Let’s take a ceremonial photograph on a rock! A legendary place of Taro Urashima. The beautiful waterfall which falls like a white thread thin. Sengataki-Falls and Ryu-gaeshi-Falls in the neighborhood are recommended, too. The beautiful pond which seems to become the picture. The superb view spot where a lot of photographers gather for the autumn colored leaves. 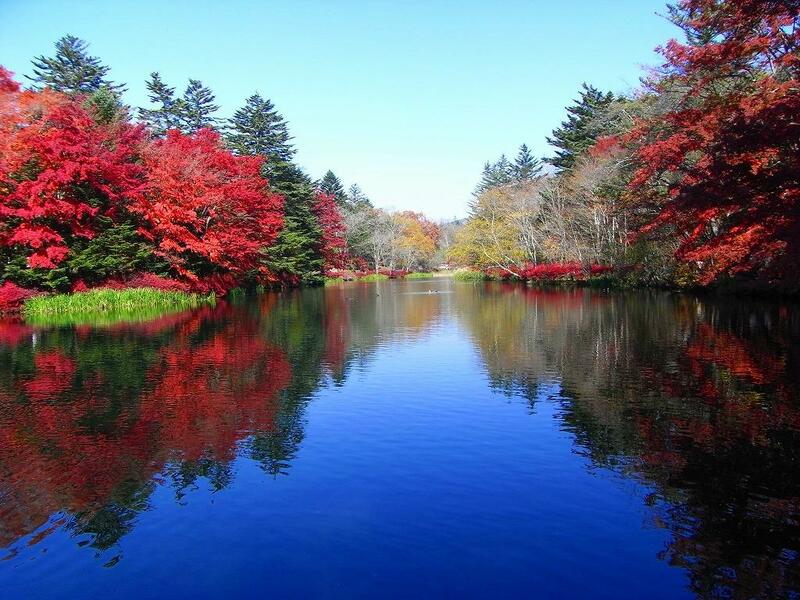 A natural beauty spot to drop in at on the way toward Karuizawa. I can enjoy a roadside station, a noodle shop, the hot spring. There are the bakery which John Lennon loved and a store specializing in Ghibli. A rice cracker and the dumpling are recommended, too! The outlet that a large number of people visit from the prefecture. As there are many people in the consecutive holidays, you should aim at weekdays! The castle with Shingen Takeda and the relationship. The superb view of the bright red bridge in cherry blossoms in full bloom in spring. A lot of photographers come, too. The treasure house of alpine plants opening right under an alpine belt more than 2,500m above sea level. There is the ropeway, too. Rafting of domestic up to 13km! At a fast flowing stream eminent Japan, I can enjoy both high wave and calm valleys. There are barbecue, hot spring, the outdoor facilities, too. Nagano is the splendid sightseeing place that nature and a hot spring can enjoy. 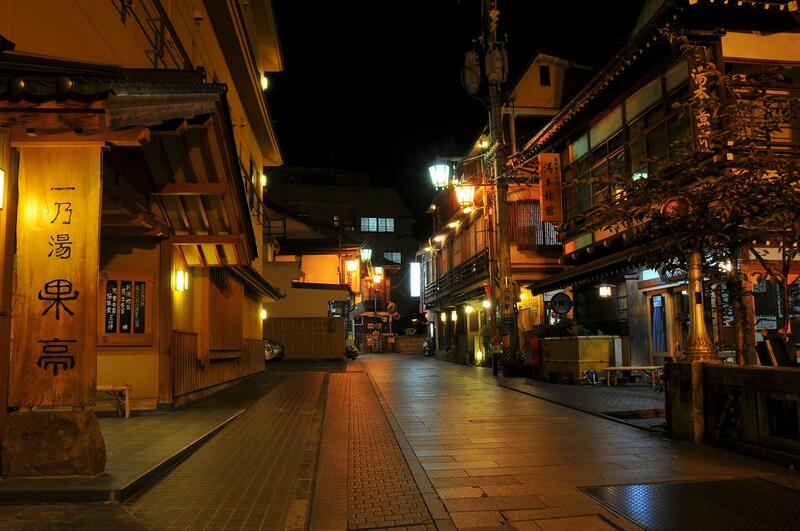 In addition, the old building or town are a lot and can taste the feeling that did time travel! Few charm is plentiful in Tokyo! These 5 Incredible Japanese Works of Art Are Sure to Blow You Away! Fast, delicious, cheap! THE 5 BEST DEALS Found in Convenience Stores!